Accura Home Inspection provides a visual inspection which includes everything from the basement to the roof, inside and out. We even inspect the grounds surrounding the house. 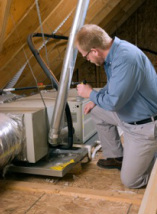 Inspections are conducted in strict compliance with the New Jersey Home Inspector Licensing Act. With Accura Home Inspection, nothing will be overlooked. The purchase of your home demands no less. We care about your investment as though it were our own. * Termite inspection and radon testing are included in Accura's inspection at no additional charge. You will receive a comprehensive report based on the inspection. This will give you additional time to address details prior to closing. The report is much more than a checklist; it comments on problem areas and offers recommendations on maintenance. 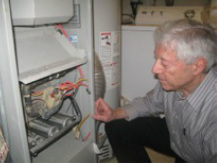 In addition, Accura's inspector will share a wealth of knowledge as you walk through the house. The inspector will point out features particular to the house and answer any questions you may have.